As an introvert, I need my quiet time to get away from a world that just can't stop talking. My quiet time though does usually revolve around good coffee and food at a favourite spot. 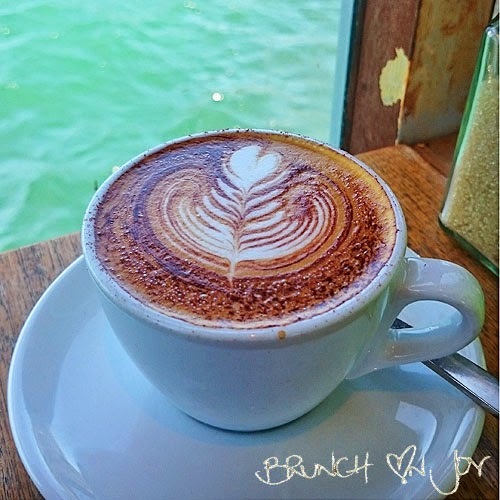 One of those favourite spots is here at Anvil Coffee Co in Kirribilli. 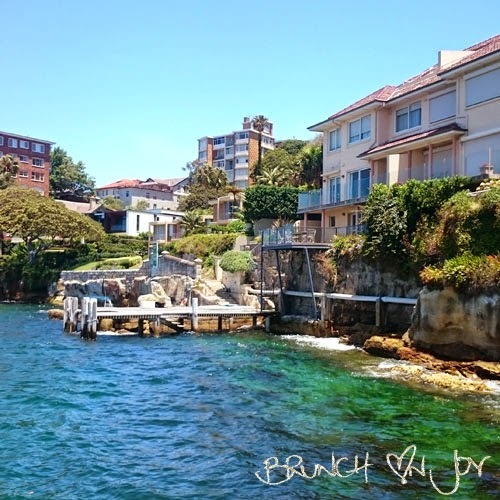 Hidden away at Kirribilli wharf on the water, it was built by the owners out of second hand timber. The imperfections here make it perfect. 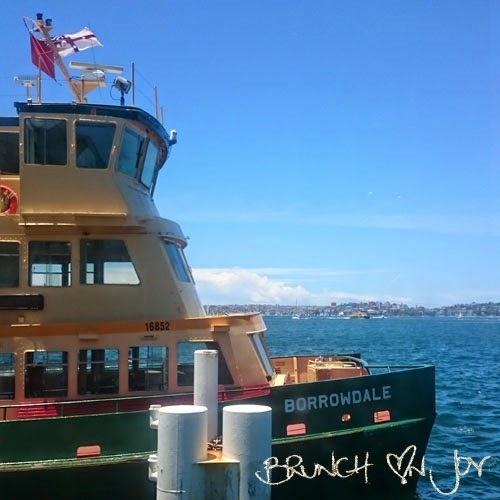 Large rusting windows show off the million dollar Sydney water views and the old shanty feel makes it warm and welcoming. They have a very short all day menu comprising of something sweet, something savoury, bircher muesli, smithie roll and buttered Arabian eggs. You think that would make your choice easy but then throw in the after 11am house cheeseburger and the antonio to the mix and I wouldn't be surprised if you want to order it all! 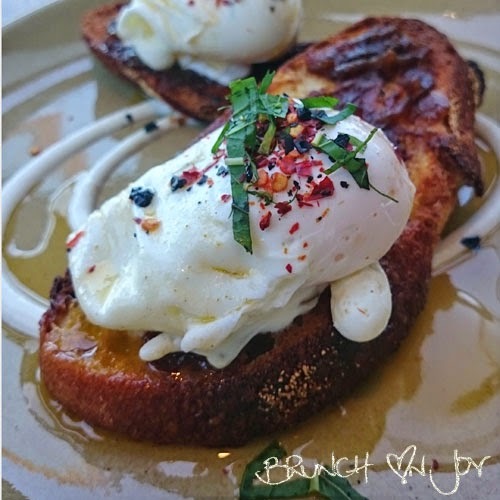 Not much of a sweet tooth, I tried Something Savoury with an extra poached egg. 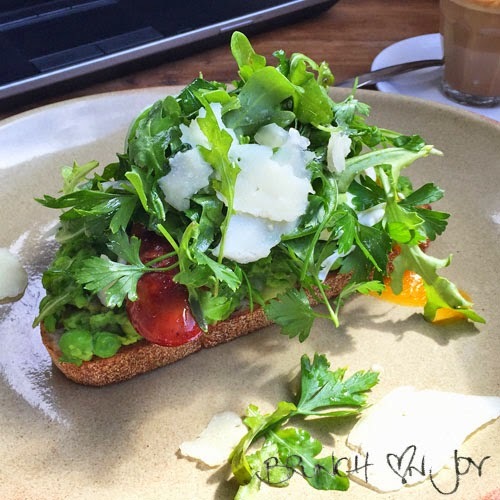 The delicious smashed peas, broad beans and leek balances out the savoury chorizo hidden underneath a pile of watercress, fresh bitey parsley and pecorino cheese. My favourite dish is this delicious buttery goodness. Everything tastes better with butter but mixing it with sweet onion jam, greek yogurt and runny yolk was a melt in the mouth experience and the chilli flakes gave it a nice little subtle hit. A must try! The Smithie roll is a very modern intepretation of the the traditional bacon and egg roll. Replacing the bacon you have fresh ham and the egg is poached for extra oozy factor. A tangy coleslaw replaces the tomato/bbq sauce and a sweet onion jam replaces what ever it does. So good. So messy. 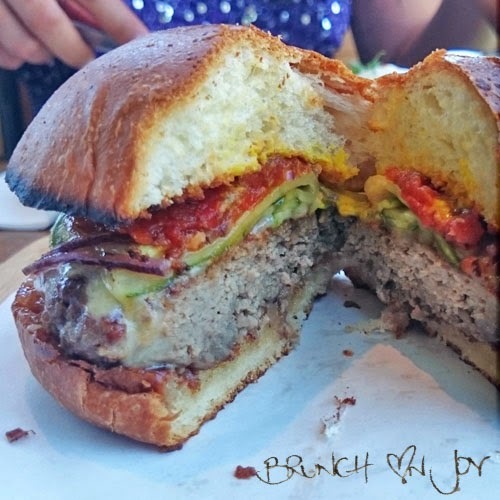 Cheeseburger for breakfast? 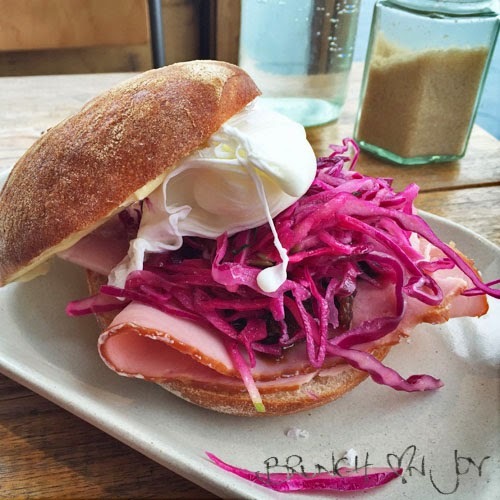 If you've waited until 11am and starving, yes please! Melted cheddar cheese on a thick beef pattie, house relish, onion jam and American mustard. Hope this picture does it justice. 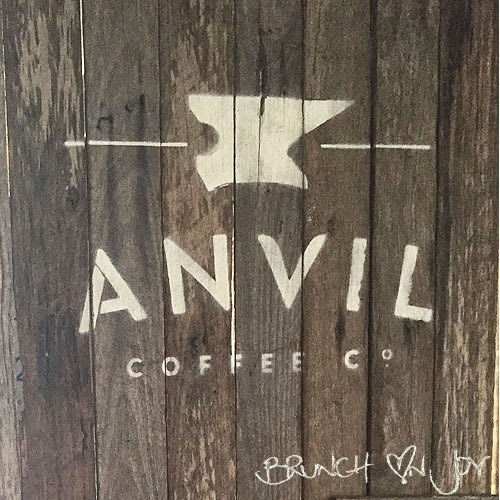 Anvil Coffee Co knows how to pour a good cup of coffee using their own version of beans. It has a short sharp bitter edge that disappears as a thick creamy feel takes over. 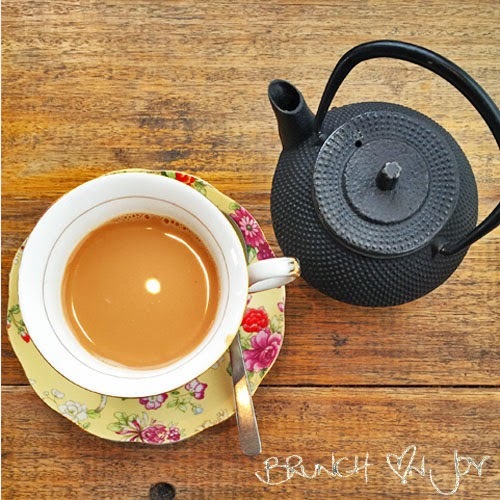 If you like tea, you won't get your normal tea here but a special selection of black, green and herbal from Tea Craft. This place is tiny so weekend queues are a guarantee. Luckily they do have an all day menu or you could try their second cafe in Artarmon with more food options minus the spectacular view. This place is more suited for singles, couples and small groups. So this is where I hide, now you know where to find me (uh oh!). anvil is in such a fantastic location! You have a gorgeous blog! I'm another Aussie baking blogger and would love for you to enter the giveaway I'm currently hosting on my blog.